I finished The Spark And The Drive by Wayne Harrison. Also finished,Sister Betty Says I Do by Pat G'orge Walker. Now I'm reading When Camels Fly by NLB Horton. Next, I want to finish The Ocean At The End Of The Lane by Neil Gaiman. and Americanah by Chimamanda Ngozi Adichie. "You risk everything by killing her." The Israeli voice outside Maggie's rent rattled with age. They didn't build a fire because it could attract attention. The desert chill made them thankful for their robes. Mark was wrapped tightly, and pulled the dense wool closer. "You take the first shift, I'll take the second. I want to be in the market by five thirty." He wiggled a small rock from the wall. "Peep hole, in case of visitors. Make it five." Visitors were unlikely because the terrain was rugged and off the beaten path, and showed no sign of recent traffic when they had approached two hours earlier." When I first received this novel in the mail, I thought it would be all about mechanics and car repair. My reaction proves it's not always possible to really know a book until you open it and start reading a bit. 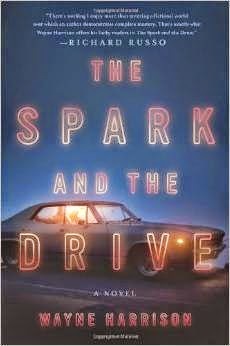 The Spark And The Drive by Wayne Harrison is about more than I could ever imagine. I would say Mr. Harrison deals with the nuts and bolts of life experiences. In this instance, the novel mainly is about a couple's struggles to deal with the loss of a baby. Around this one event will swirl like a typhoon the lives of other people who become involved with Nick and his wife, Mary Ann. "Sometimes I'd go to the great gothic campus downtown and look at the Gutenberg Bible, one of only forty eight inexistence, or Van Gogh's Night Cafe, which he gave his landlord in lieu of rent, now worth upwards of fifty million, according to the catalog." I have finished Every Bitter Thing is Sweet by Sara Hagerty. 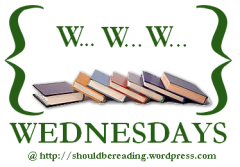 I'm still reading Sister Betty Says I Do by Pat G'orge Walker. I'm also reading The Spark And The Drive by Wayne Harrison. Some times our children may seem too noisy. As they grow older, they seem to pick the wrong date over and over again. Through these rough days, there are times when we forget the wonder of having conceived and birthed a child. 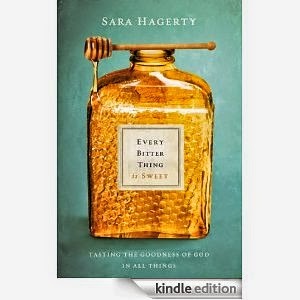 Sara Hagerty helped me regain the right perspective. Our children are gifts from God. Their childhood terrors or adult terrors are never enough to make me feel ungrateful for these living gifts especially when thinking of Sara Hagerty and her husband and many others like this couple who find difficulty in conceiving a child is to be their cross in this life. I finished Elizabeth Bourne's A Fickle Wind. 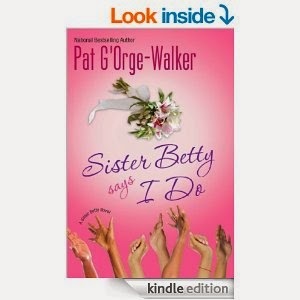 I received it as a review copy from the Cadence Group.Now I'm reading Sister Betty Says I Do by Pat G'orge Walker. Her books make me laugh so hard. I don't see how it's possible to read one without laughing.Also reading, The Spark And The Drive by Wayne Harrison. I won this one from the Bookreporter. At first, I felt frustrated. I know nothing about cars. For me, car language is like Heiroglyphics. The plot is good. Hope to put a dent in When Camels Fly by NLB HORTON. I love the cover of this one. http://bibliophilebythesea.blogspot.com "It was only a duck pond, out at the back of the farm. It wasn't very big. Lettie Hempstock said it was an ocean, but I knew that was silly. She said they'd come here across the ocean from the old country." http://shouldbereading.wordpress.com "Nobody came to my seventh birthday party. There was a table laid with jellies and trifles, with a party hat beside each place, and a birthday cake with seven candles on it in the center of the table. The cake had a book drawn on it, in icing . My mother, who had organized the party, told me that the lady at the bakery said that they had never put a book on a birthday cake before, and that mostly for boys it was footballs or spaceships. 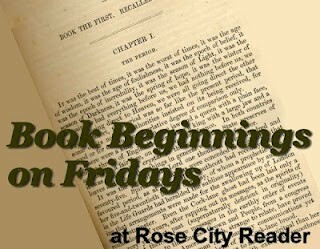 I was their first book." In this one novel I have traveled to so many places: England, Canada, parts of California. I especially enjoyed the author, Elizabeth Bourne's travels and move to California. She had friends in Carmel, San Francisco and she built a home in Silicon Valley for a couple to buy. A Fickle Wind by Elizabeth Bourne is filled with the usual life all of us live: marriage misunderstandings, in-law problems, parental problems and our struggles with where and how we want to make a living for the rest of our lives. The problems we face are like fickle winds: unpredictable, confusing and miserable. This does not mean Elizabeth Bourne led a life of unhappiness. She is the type of woman who knows how to grasp hold of the wheel of a sail boat and hold on for dear life. She isn't going to let life just sweep her to and fro without a time out to look at her map again and gain a new perspective if necessary. She is a graceful and strong woman. "When I was in preschool, I had a teacher named Starlily. She wore rainbow tie-dyed dresses and was always bringing in cookies that were made with granola and flax and had no taste." http://www.fredasvoice.com "We were both young and from England, and we had each married just before moving to Canada. Doreen's ethnicity was Czech, and her parents had escaped just prior to the Nazi occupation of their country. They had been put into an English refugee camp. Doreen was in utero when her parents arrived in England, and she was named for the woman who had masterminded their escape." If I eat too many_____, I_______ Running a____is______Why is it that_________?Where do you_____? 1. If I eat too many cookies, I feel overstuffed. 2.Running a house is not easy. 3.Why is it that I can't get organized? 4.Where do you go to church? I finished Travels with Charley by John Steinbeck. I finished Breaking All The Rules by Rhonda McKnight. 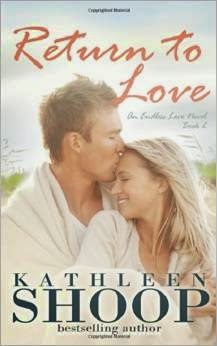 I finished Return to Love by Kathleen Shoop. This is a courtest copy for review. This is from Beck Valley. 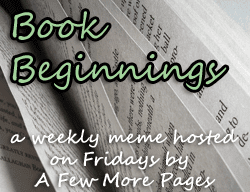 The blog tour is listed at the top of the page. Now I'm reading for KREGEL Candle Prayers for Kids by Claire Freedman. 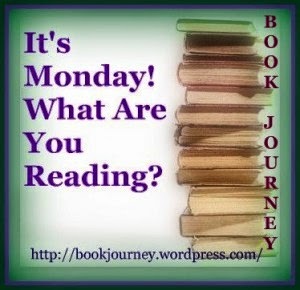 I am also reading Sister Betty Says I Do by Pat G'org Walker. 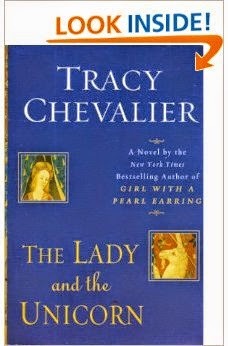 Also, The Lady and the Unicorn by Tracy Chevalier. 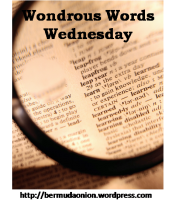 "Alienor didn't seem to be listening to him, but was wrinkling her nose in disgust. Then I smelled it, and a moment later Noiclas did too. "Bon Dieu, what is that" he cried. " It smells like a barrow full of piss!" "It's Jacques Le Boeuf," I said. " The woaddyer." "Is that what woad smells like? I've never been near the stuff. In Paris they have to work outside the city walls in a place no one goes near."